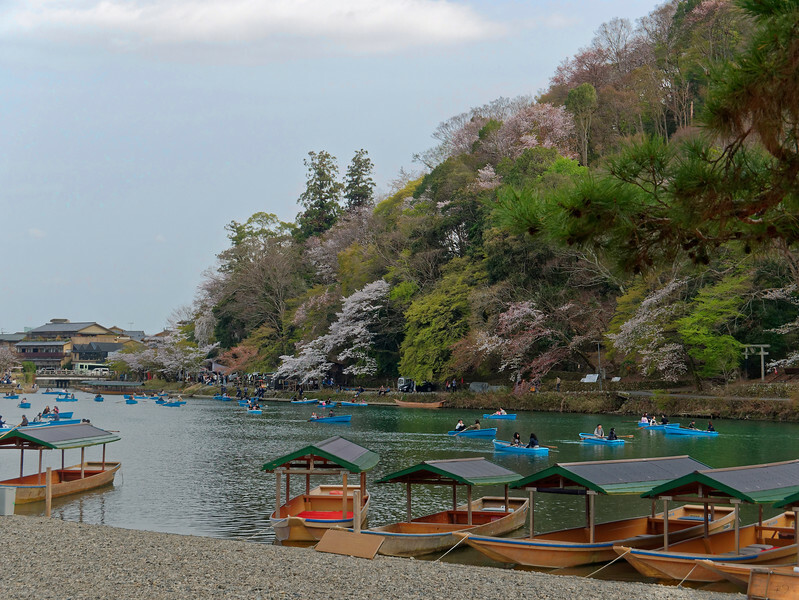 On our previous stay in Kyoto we had visited Arashiyama on the city’s western outskirts and the famous bamboo forest there. 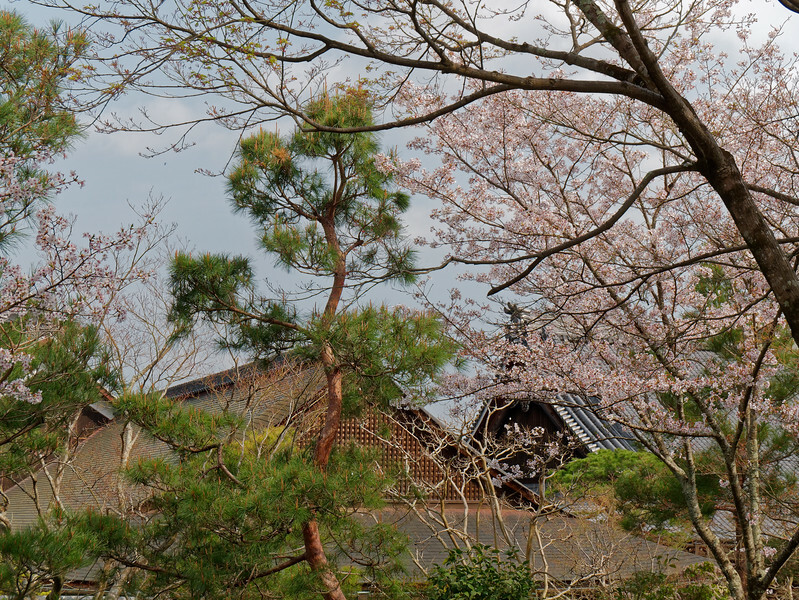 Tenryu-ji, a Zen Buddhist temple, lies adjacent to the forest. 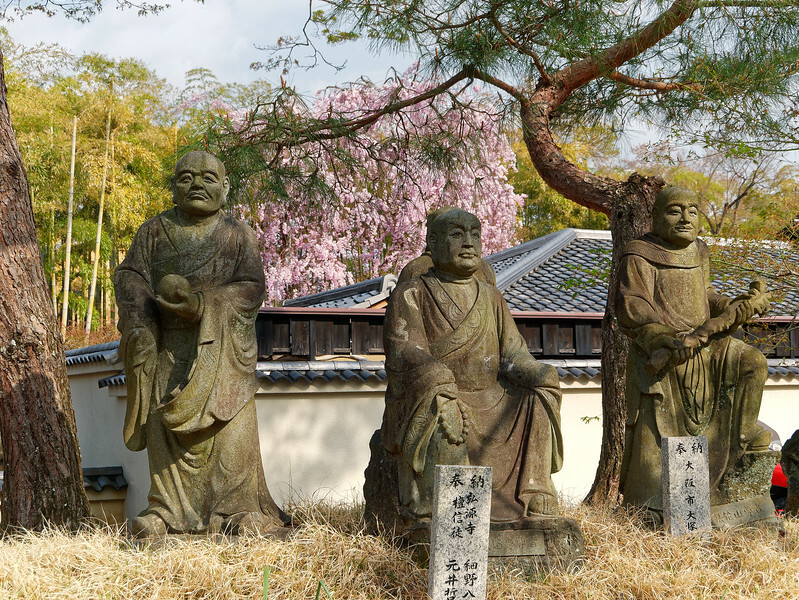 Though the current temple was established in 1339, the area’s historical connections with Zen date back as far as the 9th century, when Japan’s first Zen temple was founded on the same site. 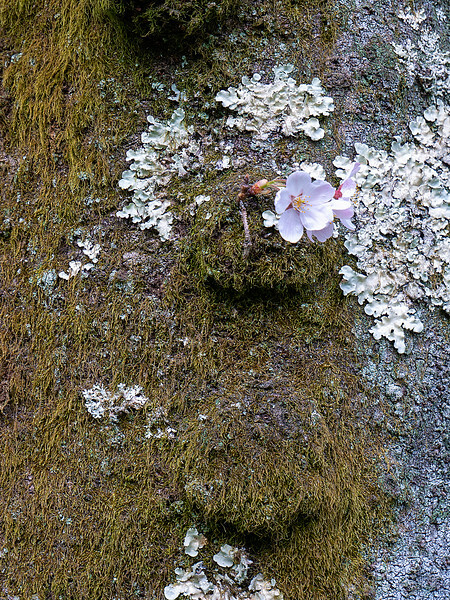 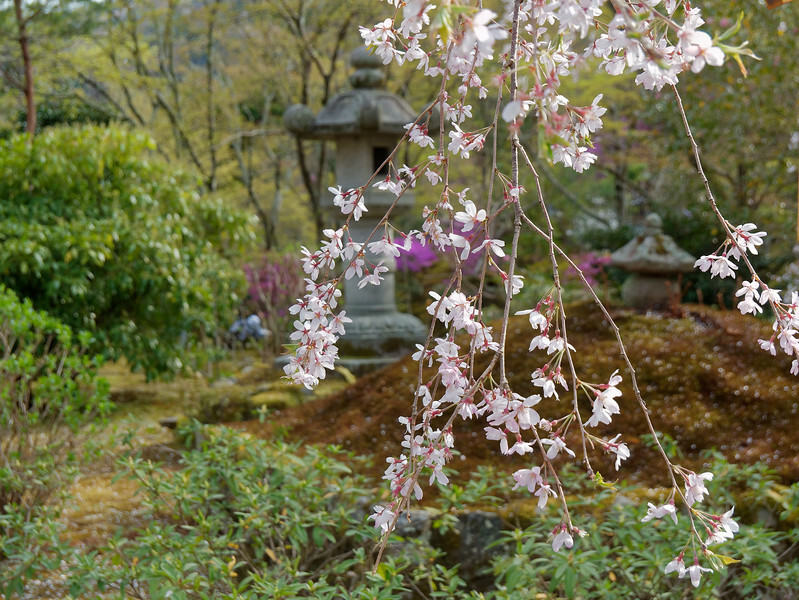 Ever since Tenryu-ji’s consecration in 1345, it has been designated first among Kyoto’s five major Zen temples. 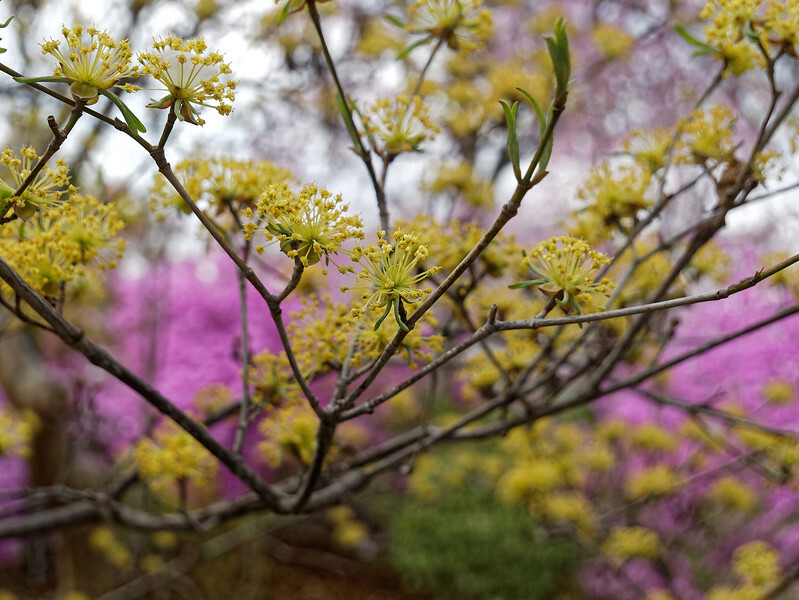 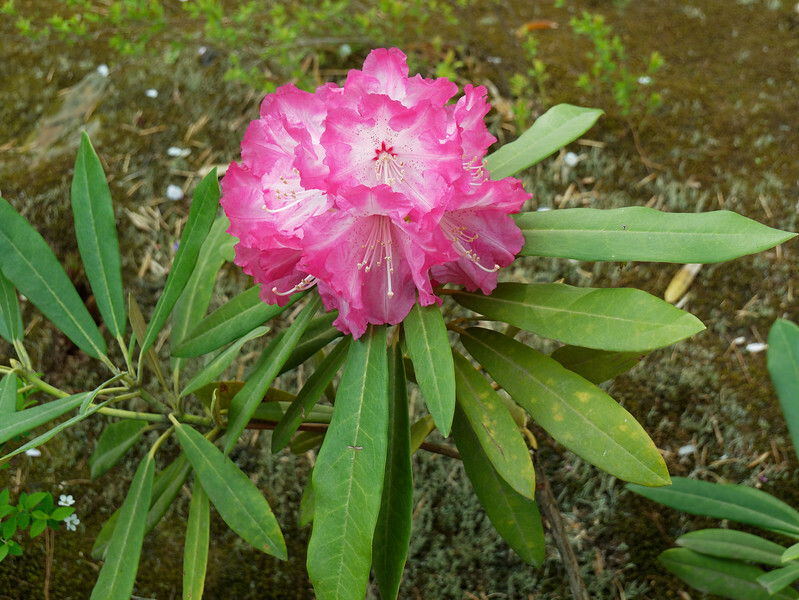 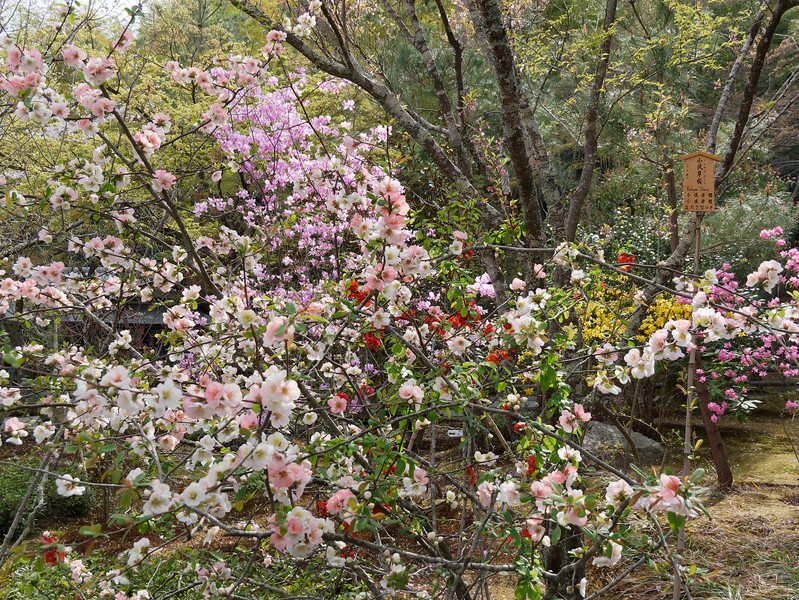 The focus of our visit, however, was not on the temple’s historical past or its sizable complex of buildings but rather on its gardens, especially Hyakka’en, the so-called Garden of a Hundred Flowers, whose flowers on the day of our visit—on trees, bushes, and other plants—seemed almost to number in the millions. 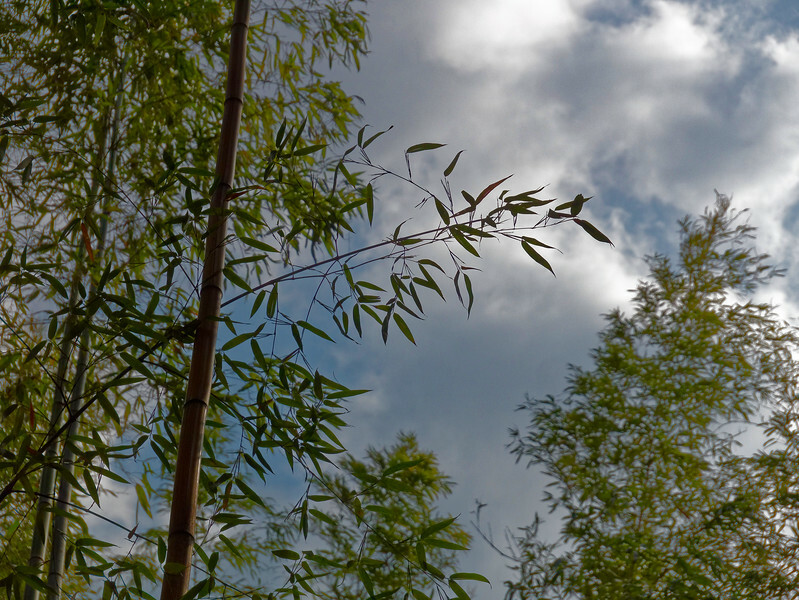 Before entering the temple's garden, we made a brief stop, again, within the bamboo forest. 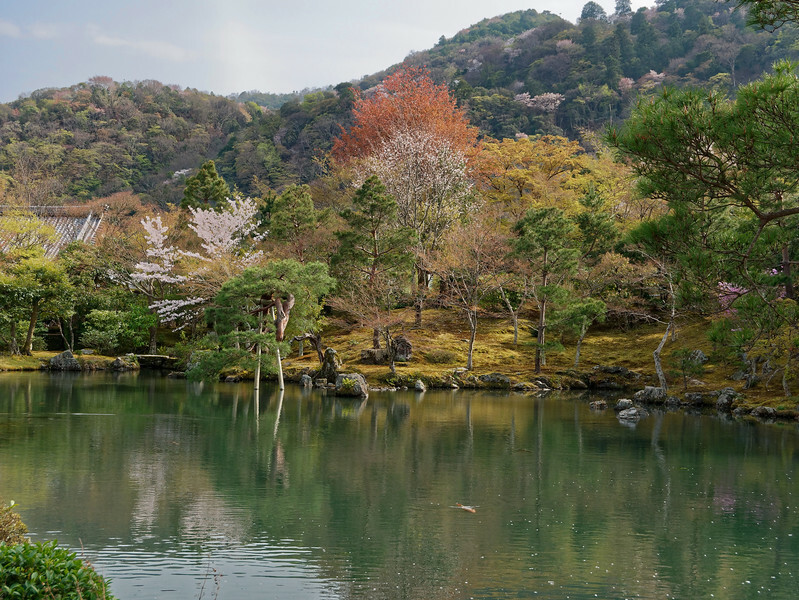 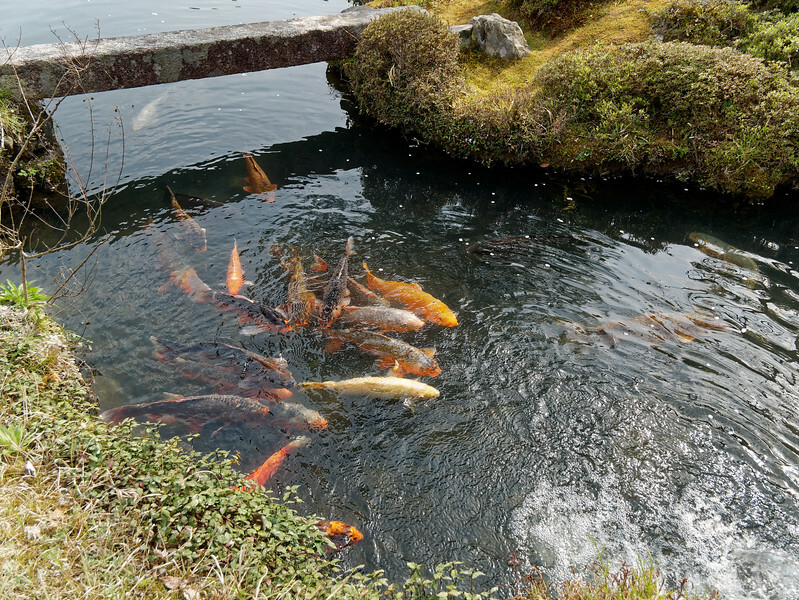 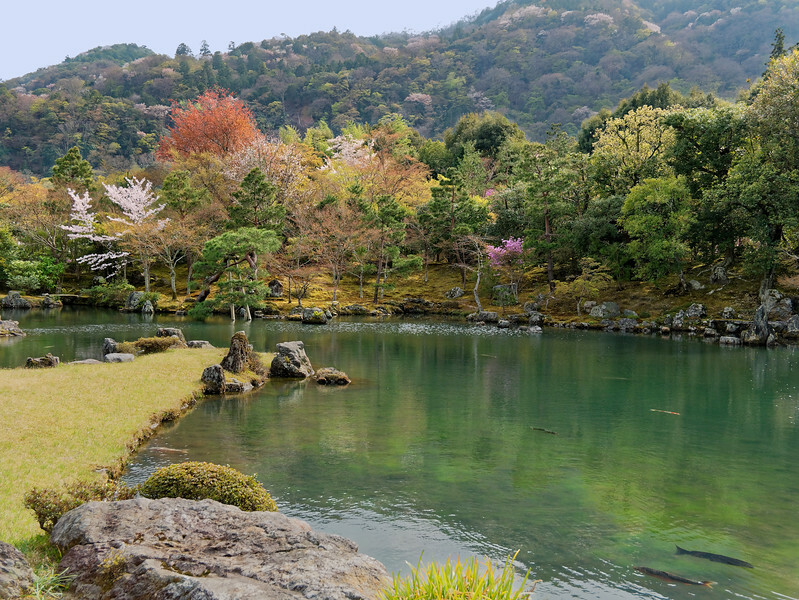 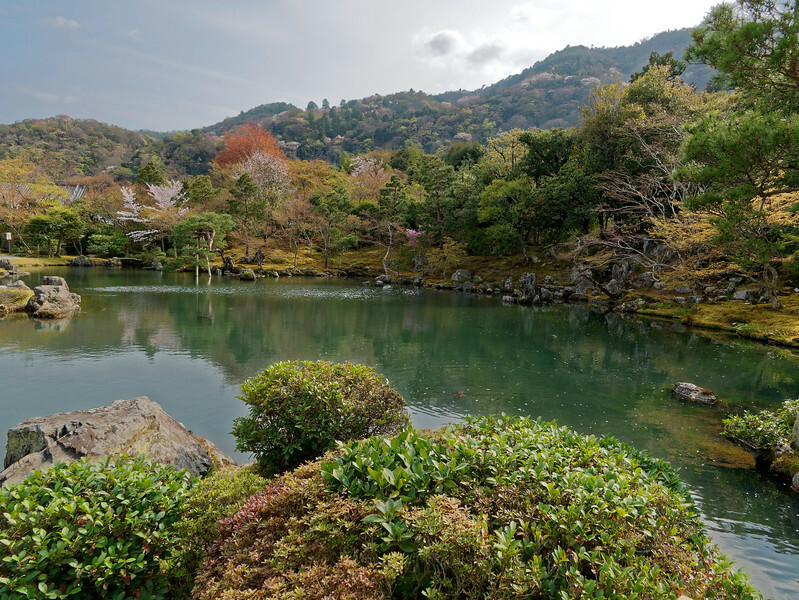 The temple's Sogenchi Teien, Sogen Pond Garden, designed as a so-called strolling pond garden, was created nearly 700 years ago by Zen master Muso Soseki and retains much of its original appearance today. 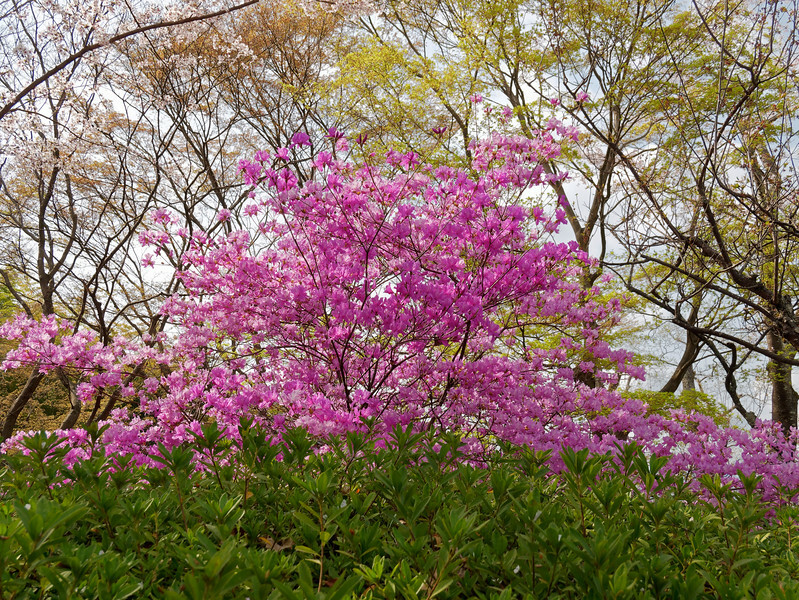 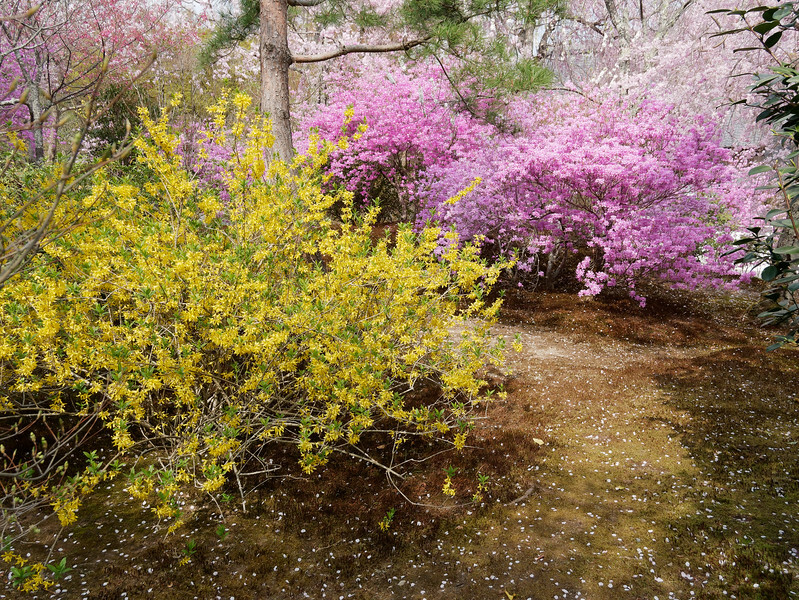 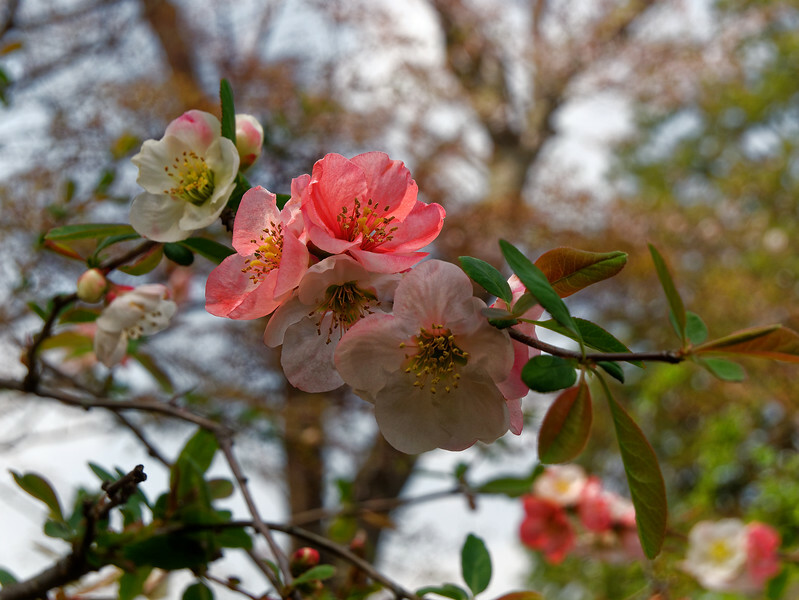 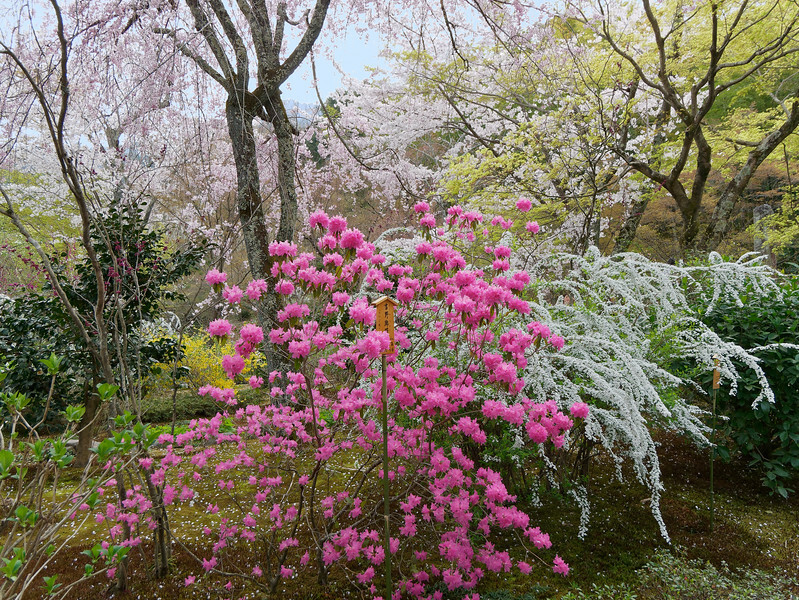 This photo and those that follow were taken in the Garden of a Hundred Flowers. 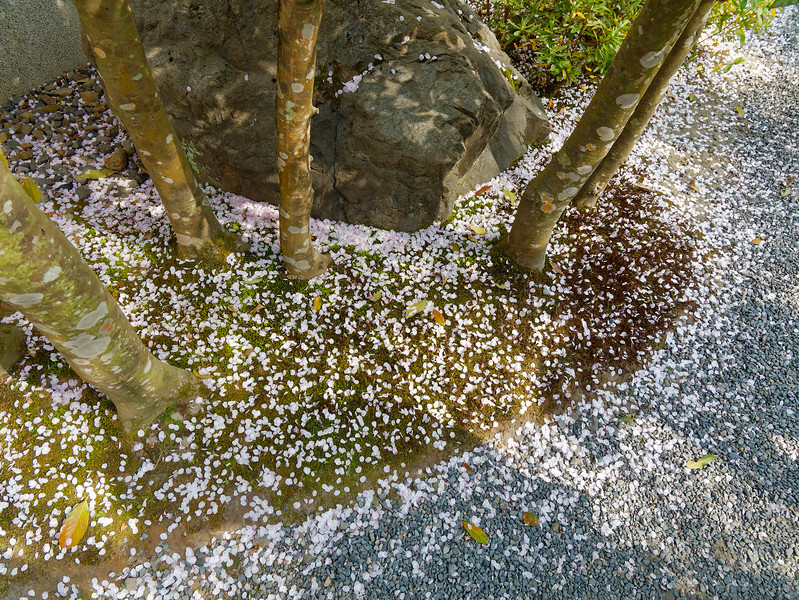 Sogenchi Teien again. 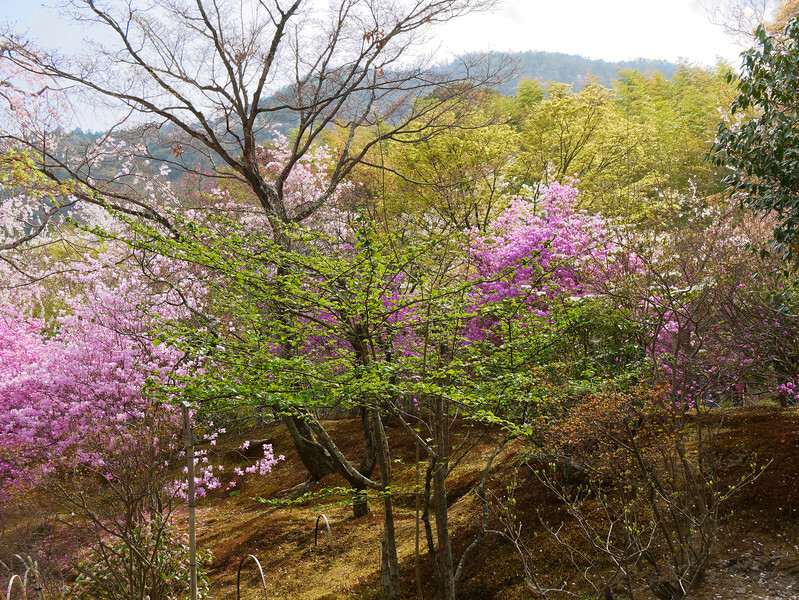 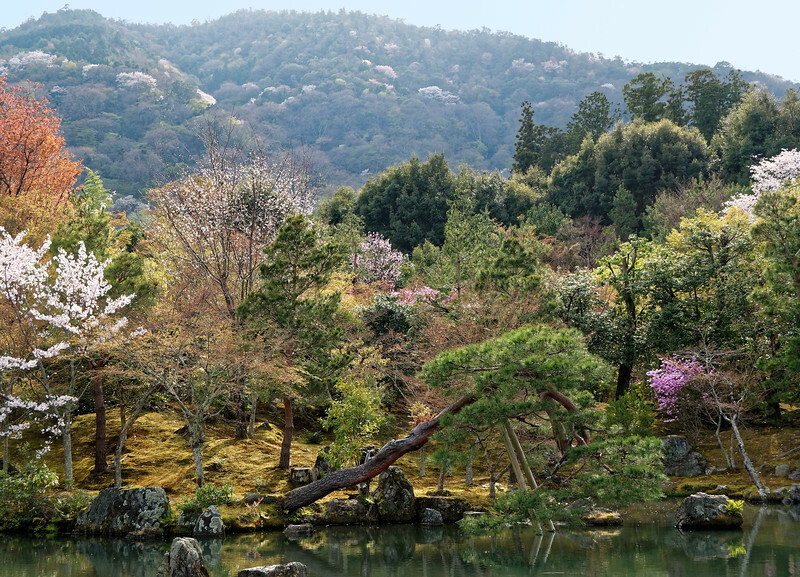 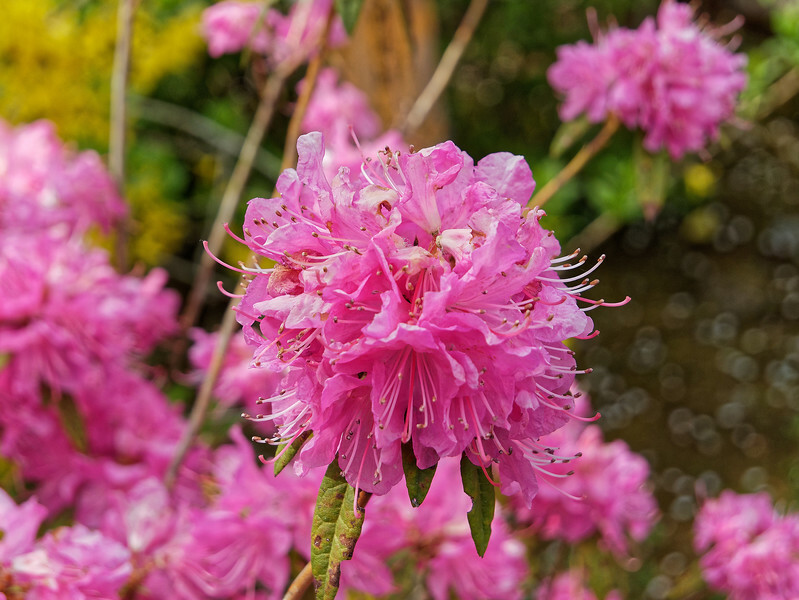 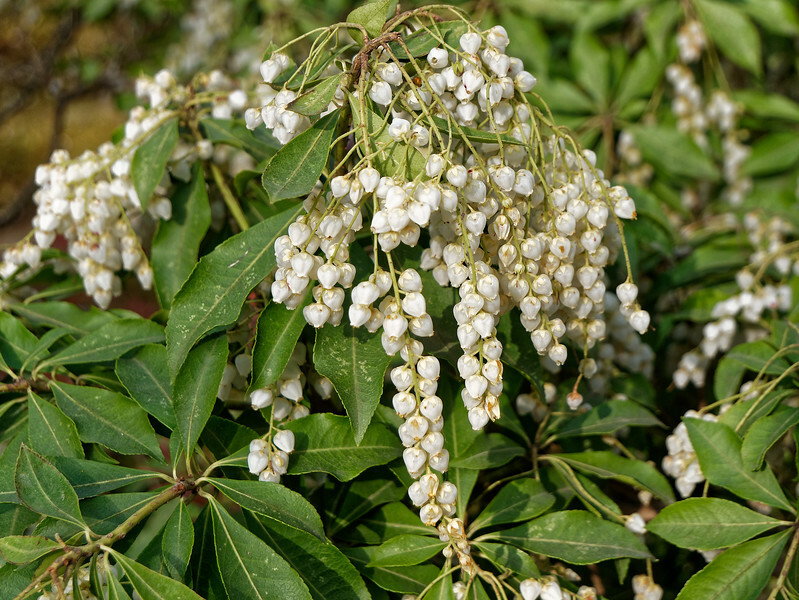 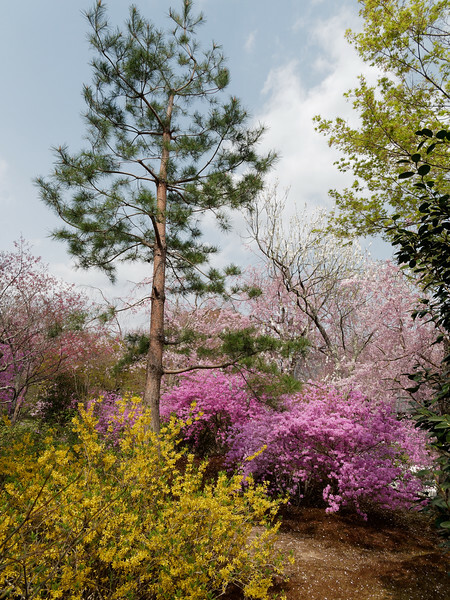 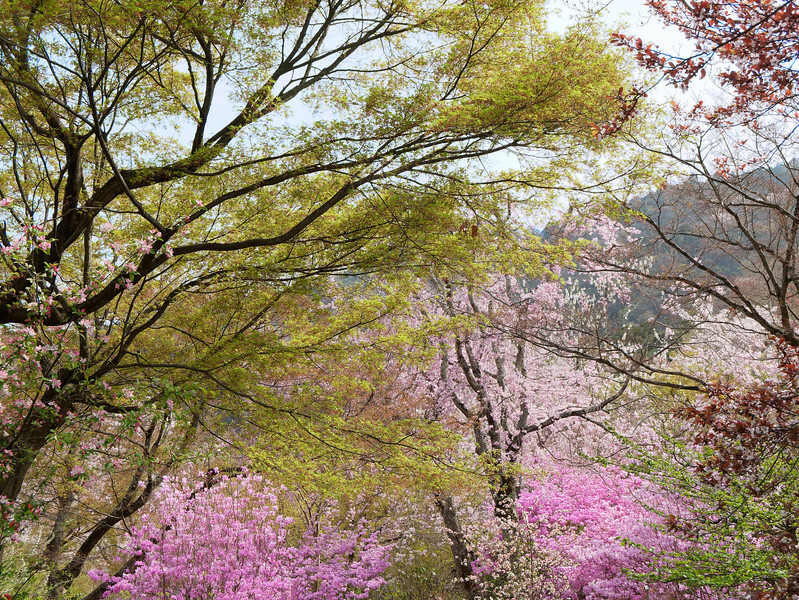 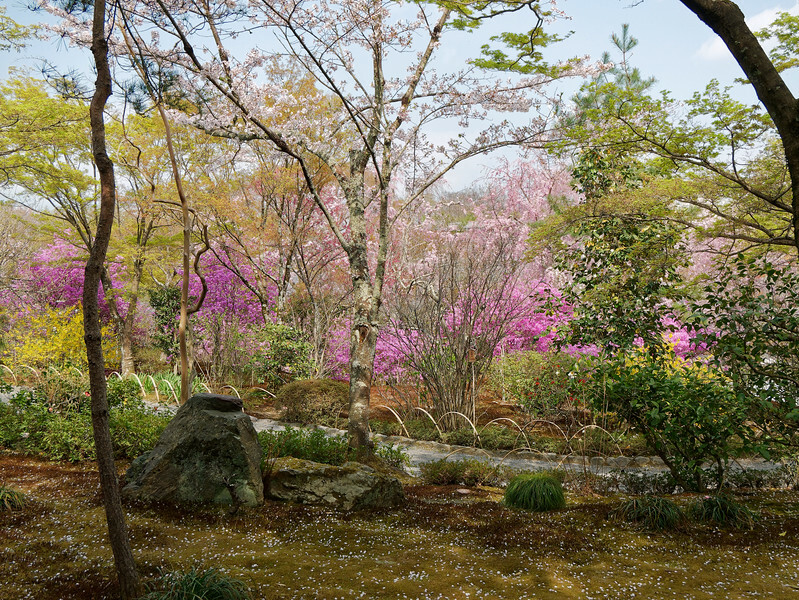 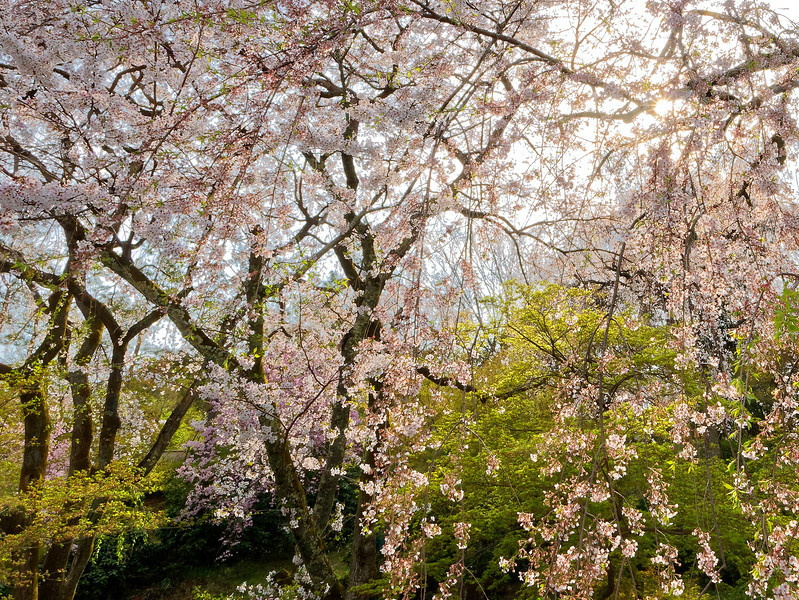 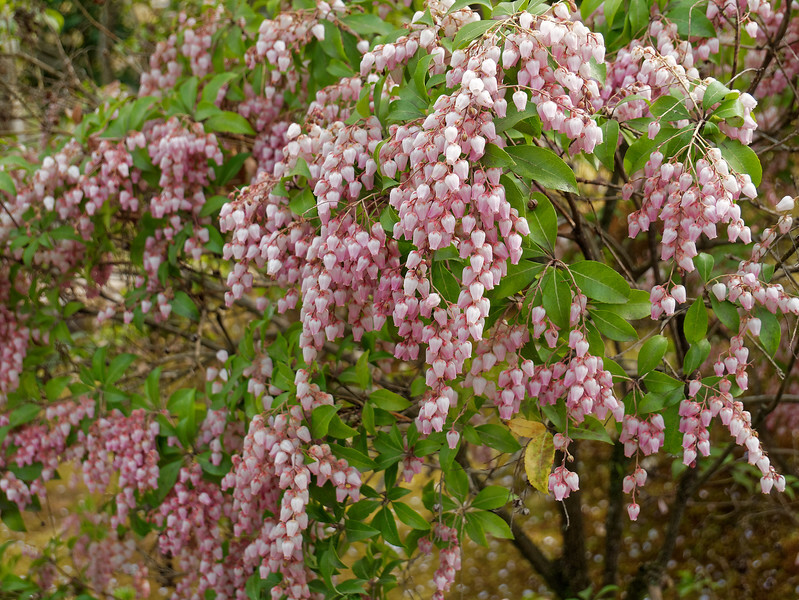 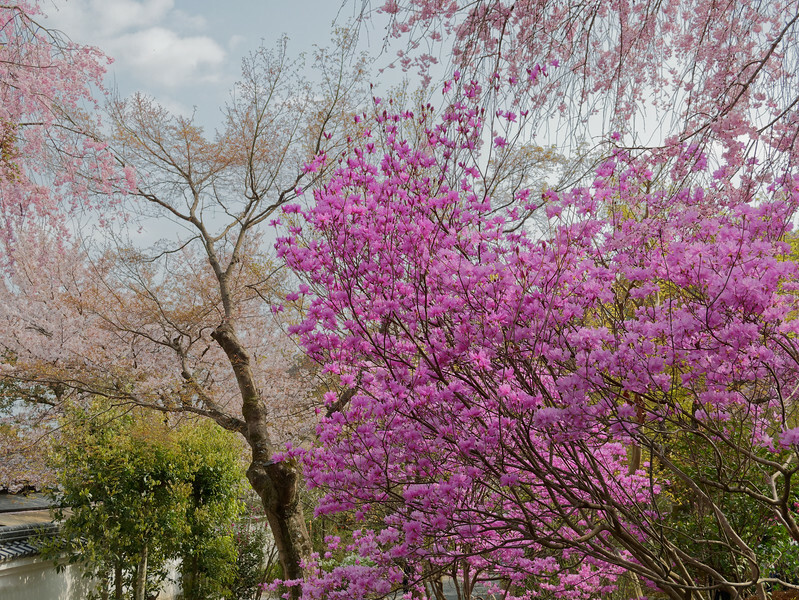 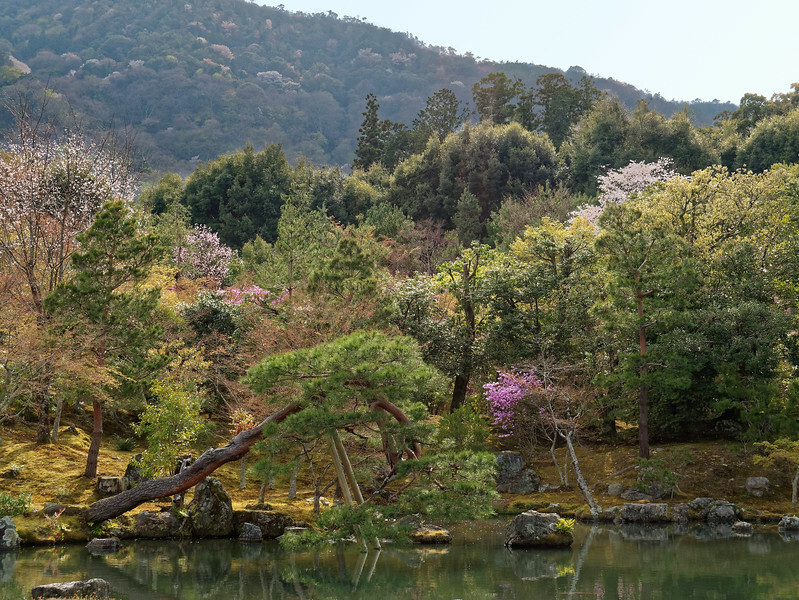 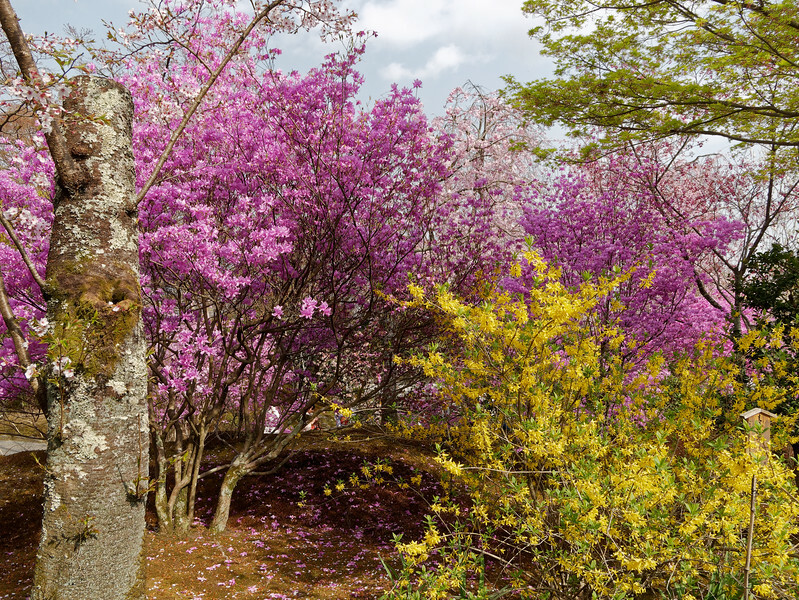 The garden draws on a tradition known as shakkei, in which nearby mountains are used to give the garden a sense of greater depth and proportion. 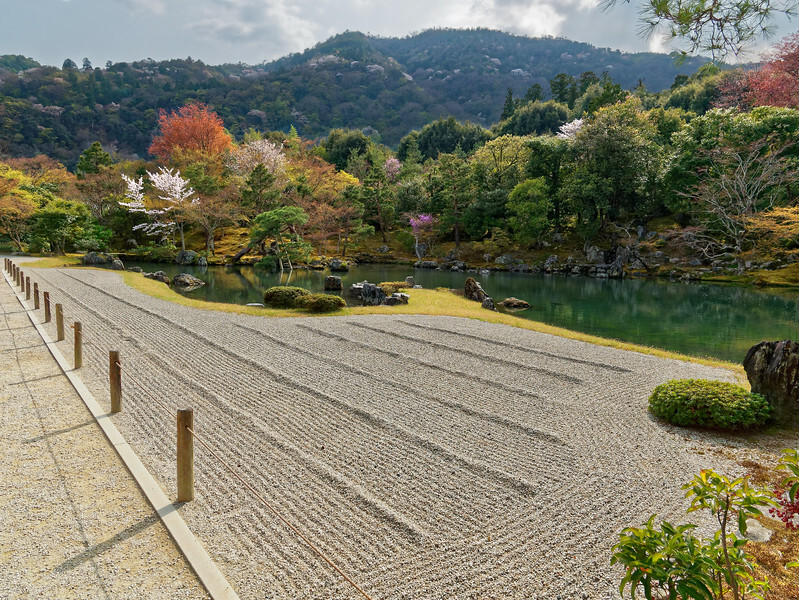 The stone garden in the foreground lies directly in front of the temple's hojo, or main hall. 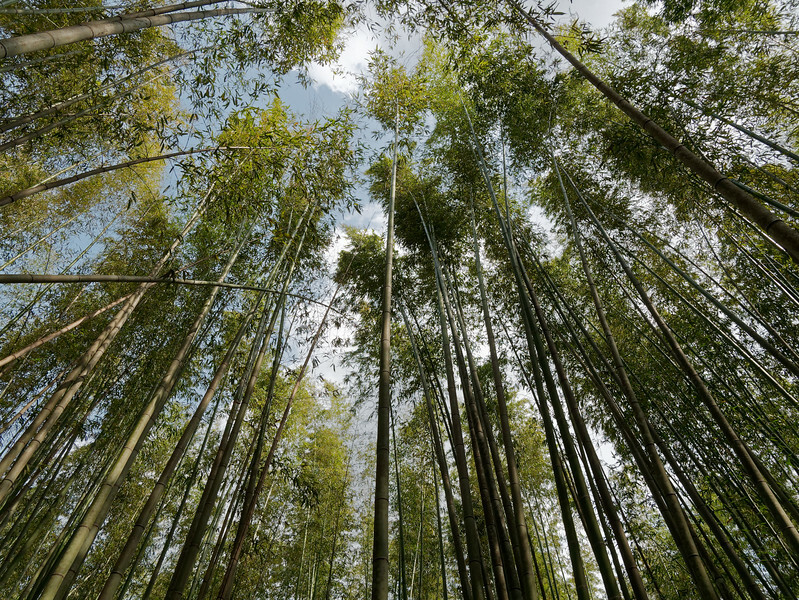 These images appeared in our earlier Arashiyama gallery from our fall visit to the bamboo grove. 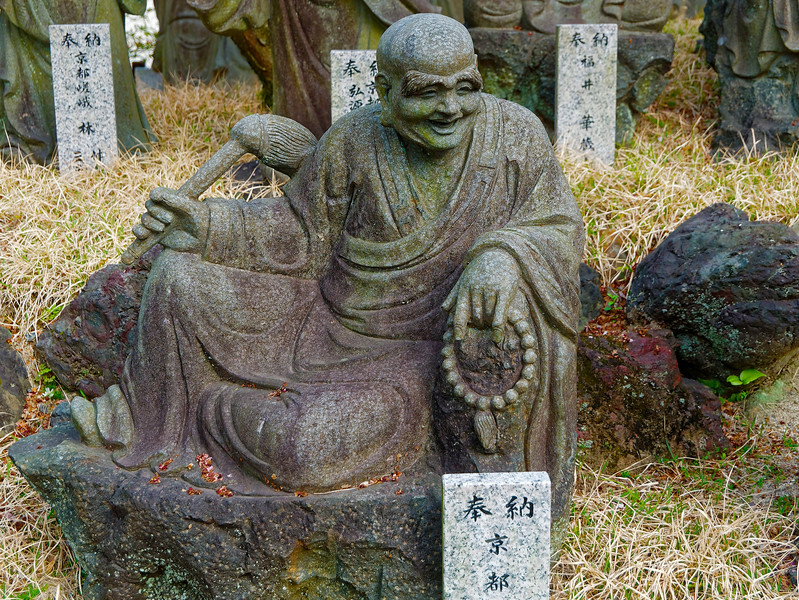 As described there, they are known as Arashiyama Rakan and are arhats: ones who have achieved enlightenment. 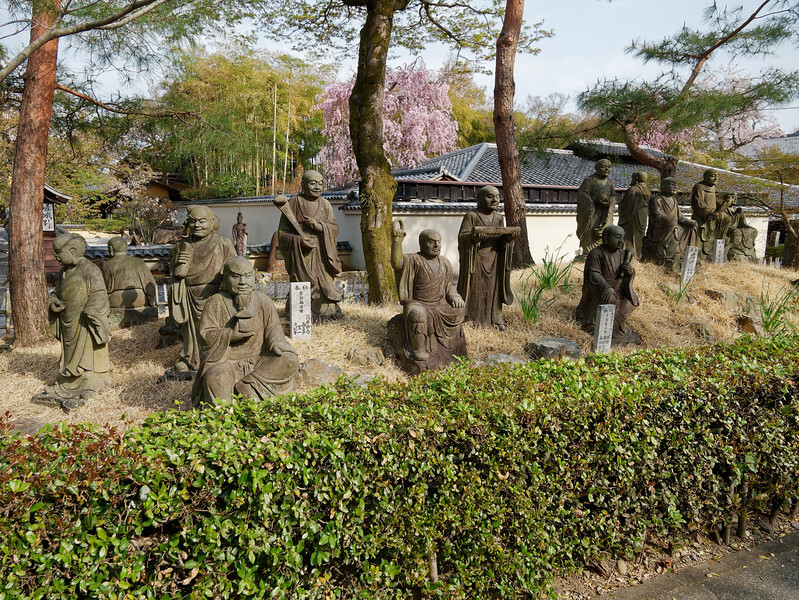 They were presented to a sub-temple of Tenryu-ji and are dedicated to the repose of victims of the Great Hanshin Earthquake of 1995.